The Razer Forge TV is quite compact at just 4 x 4 inches and houses a Snapdragon 805 chipset with a quad-core 2.5GHz Krait 450 CPU, 2GB of RAM and an Adreno 420 GPU. It connects via Bluetooth or Wi-Fi and is compatible with Razer’s Cortex streaming technology allowing you to stream and play a more demanding game from your PC to the Forge TV. But it’s not all for games, as the Forge TV can stream music, videos, photos and run Android apps on the TV. The console supports up to 4 game controllers and is has an HDMI and an Ethernet port. Additionally, Razer has unveiled its Turret gaming mouse and lapboard. It comes with a charging dock and a wireless 2.4GHz adaptor. The mouse and keyboard have a 1,000mAh and 1,500mAh batteries, respectively. Check it out in the video below. 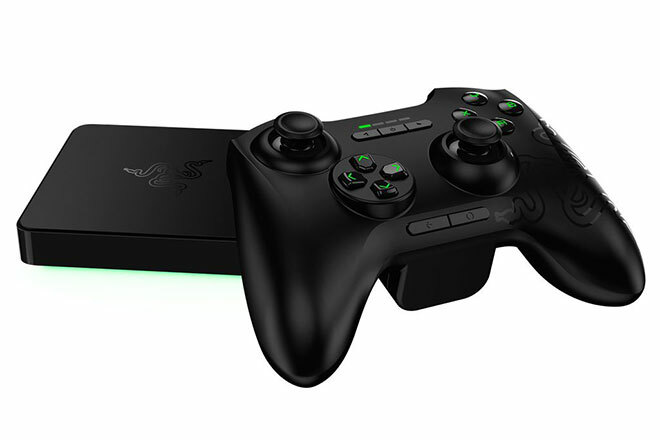 Expect the Razer Forge TV to come out in the first quarter of the year with a $100 price tag. 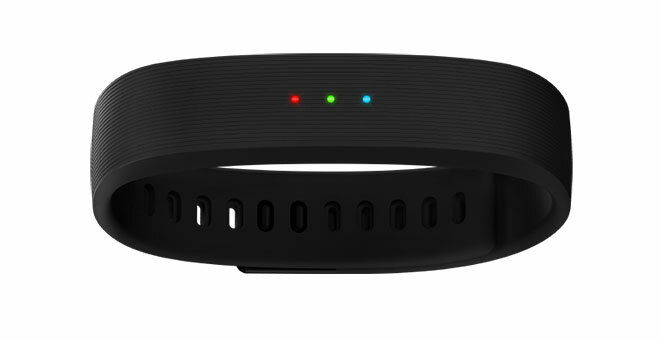 As for the Razer Nabu X, it’s a simpler smartband than the Razer Nabu unveiled a year ago and features just three LEDs. 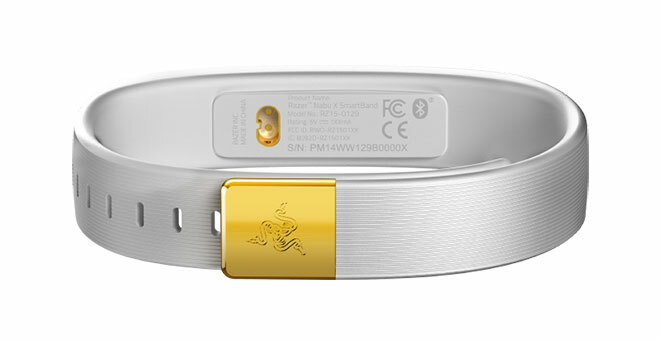 It can receive notifications from iOS and Android devices alike and its battery is rated to last up to 7 days. It’s also IP67 water resistant and sports a vibration motor. To get the most out of it, you should install the Nabu X Utility app for customization and the Nabu Fitness app for logging and monitoring. The LED colors can also be customized. The Razer Nabu X is available in black, white and bright green and costs $19.99 for Razer Insider subscribers and $49.99 for everyone else. It should be out in February.